It may not quite be spring yet, but that’s no excuse to ignore the housework. Grab hold of some cleaning essentials, get in your apron and rubber gloves and start cleaning. If you start now, there won’t be much to do in spring when you’d usually complete a full clean - think about it! After a busy Christmas and a miserable January, it’s time to make your house look brand new again, so we’ve compiled a list of the absolute must-have cleaning products you need to freshen up. 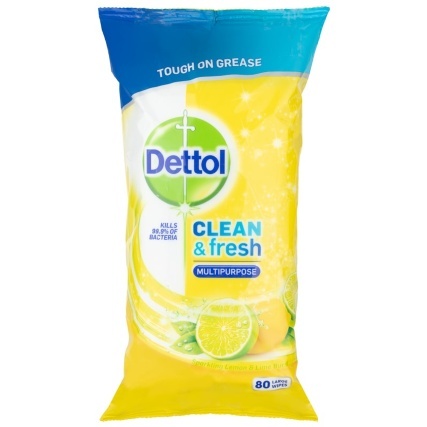 Clean the surfaces of your kitchen and bathroom with these amazing Dettol Multi-Purpose Wipes. The lemon & lime fragranced wipes attack bacteria, removing 99.9% of any it comes into contact with and making them perfect for cleaning your kitchen. Tough on grease too, they’re useful to clean a stove with. 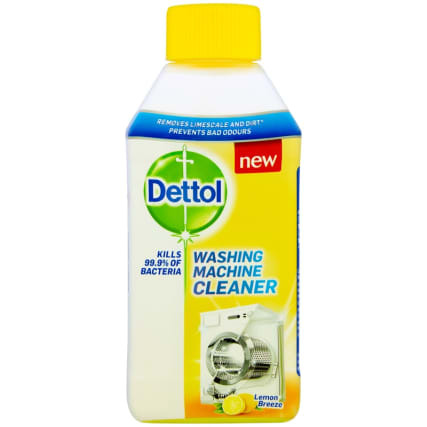 Similar to the multi-purpose wipes, these Floor Wipes from Dettol kill 99.9% of bacteria. The extra strength wipes are proven to kill antibiotic resistant MRSA, making them very handy for around the house. Ideal for tiled floors and laminate wood. Who needs a mop and bucket when you’ve got Dettol wipes?! We’re betting there’s a growing pile of laundry in your home, especially if you have kids, so separate out the colours and put a wash load on. Use Vanish Powder Stain Remover to make your whites even whiter! Even better, the stain remover can be used as a pre-treater, a soak or in the machine. Either before or after that wash load is on, make sure your machine is sparkling clean by using Dettol’s Washing Machine Cleaner. It helps to kill 99.9% of bacteria while removing lime scale and dirt, and prevents bad odours from developing. 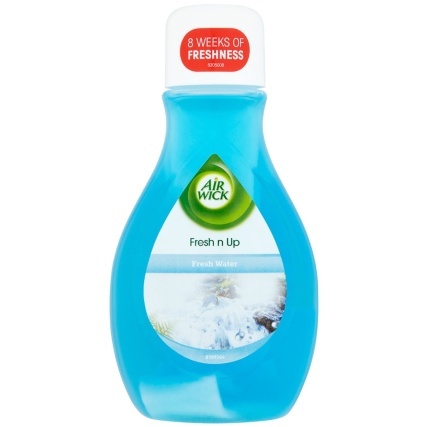 Make sure your home smells wonderful during and after your big clean with this Air Wick Fresh n Up bottle. Simply lift the cap off and enjoy the fresh fragrance it constantly releases into your home. Finally, all of your dishes, glasses and cutlery need a good clean while you’re pottering around the house. 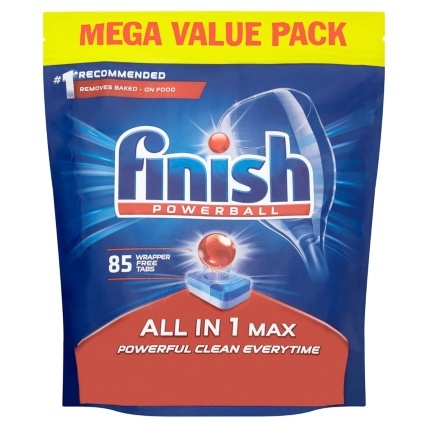 So pop one of Finish’s Powerball Tabs into the dish washer and let the machine do the rest of the work. All you’ve got to do then is put everything away! Have you found a super way of efficiently cleaning your home? If so, let the B&M community know on Facebook, Twitter & Instagram!